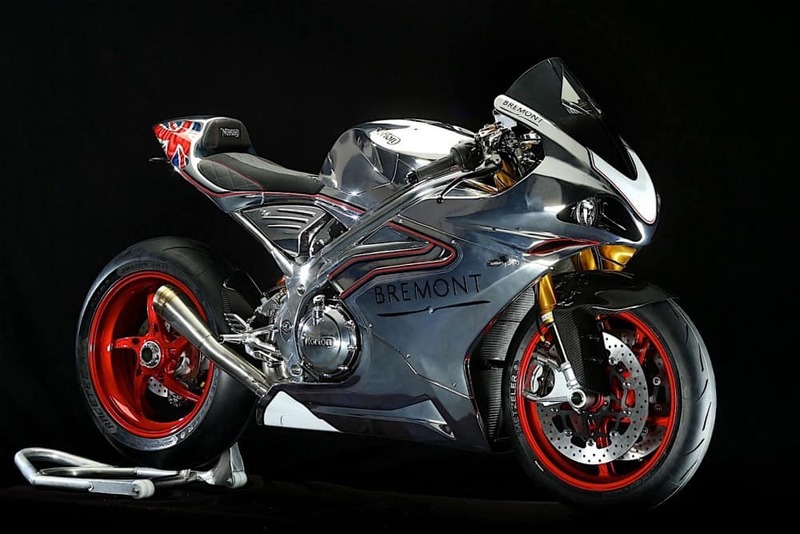 Well, it is has been a while since I have heard anything much about Norton as of late, the Commando range didn’t really seem to take off, but the price range I am sure was a massive factor when it came to that, its all about price tagging and making classic Iconic names affordable these days. but all that is now about to change and not one but Two new Motorcycles are now coining out to the tarmac and I for one am happy about that. 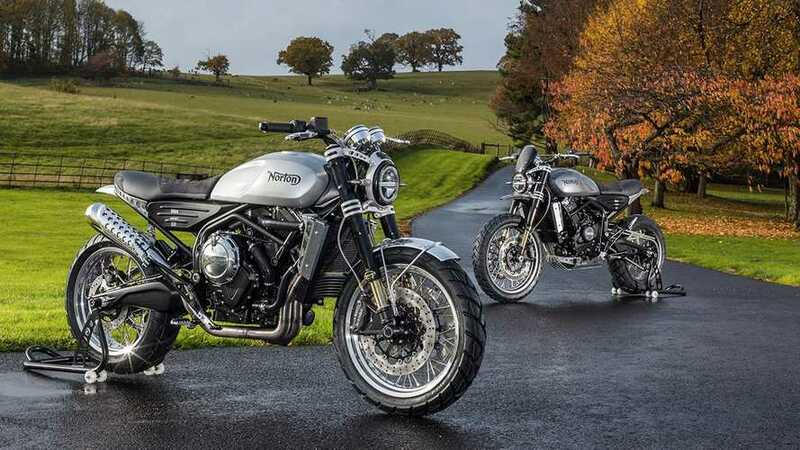 Stuart Garner the ceo and Owner of Norton Motorcycles has busted his own nut to get these 2 cool machines ready for the public to see, the New 650 parallel twin machine is something I am eager to take a look at, seems to have derived from the v4 1200cc machine. 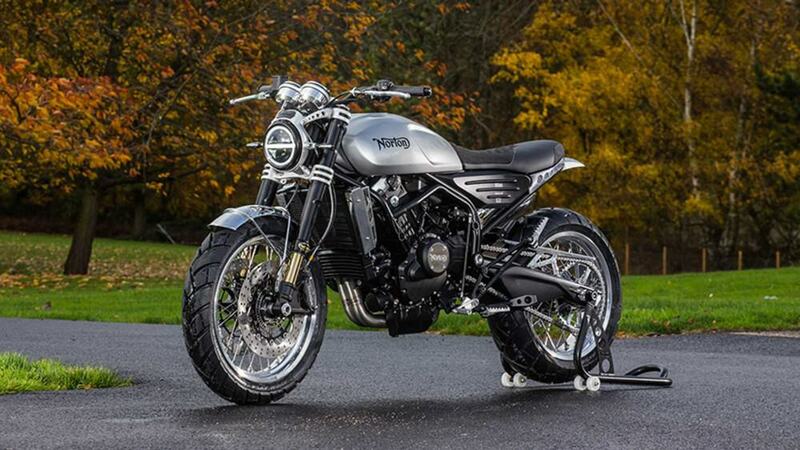 But, the Norton Atlas Ranger is a great looking Dual Purpose motorcycle that looks pretty darn rugged to be honest. With a longer swing arm and footpegs wide enough to help you stand up and tap the tank with your knee’s, this scrambler is very cool. 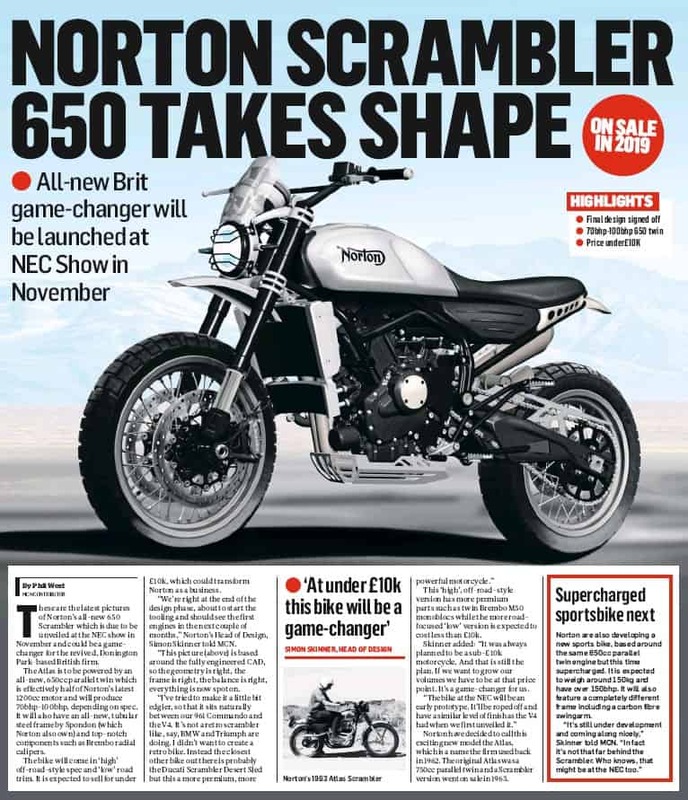 I see that they have kept the price quite competitive, opening at 10,000 pounds with the Scrambler at 12,00 but relatively cheap for Norton, they are so much into these 650 machines, that they have just now started to build a factory out the back of the place just for them 2 models, so it shows the commitment that Norton has and I believe this will be quite a competitive motorcycle in the UK as well as over here in the USA. 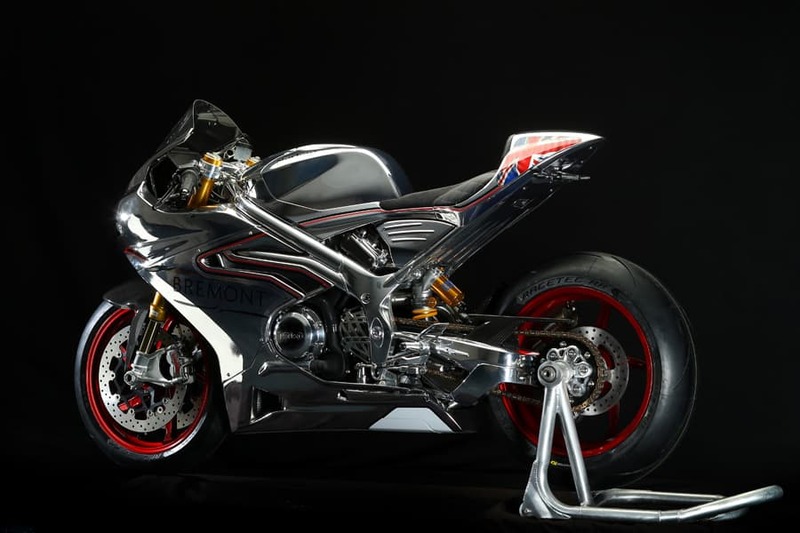 Wicked bits of kit to look at and I for want would like to at least have the opportunity to sling my leg over these great machines. The Atlas looks superb and if I had a hat on right now, I would tip it towards Stuart garner, great concept fella and sure hope to see some of these on the So Cal Roads next year. Thanks for reading my Blog today and hope this made you smile as much as I did when I heard about these motorcycles coming out. This entry was posted in Blog and tagged 650, Atlas, brit iron, New concept, norton, polished machine, scrambler.